The following development environments must be installed before SophiaFramework UNIVERSE. * SophiaFramework UNIVERSE also supports QUALCOMM BREW SDK 2.0 / 2.1. To install, double-click the installer icon of SophiaFramework UNIVERSE. An InstallShield wizard will take over to guide you through the installation. 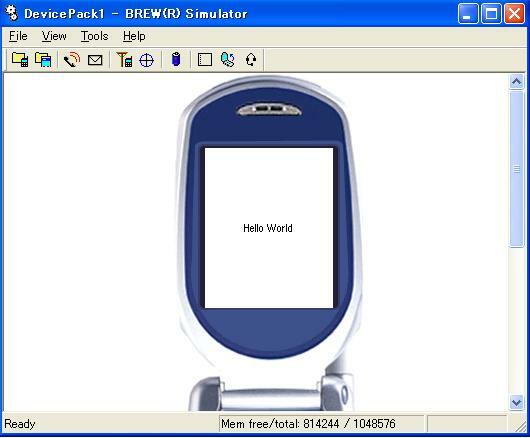 From the [SophiaFramework] folder, where SophiaFramework UNIVERSE was installed, open the [Tutorial] -> [HelloWorld] -> [HelloWorld.dsw] file with Microsoft Visual C++ Version 6. * In case of Visual C++ .NET 2003, open the [HelloWorld.vcproj] file. 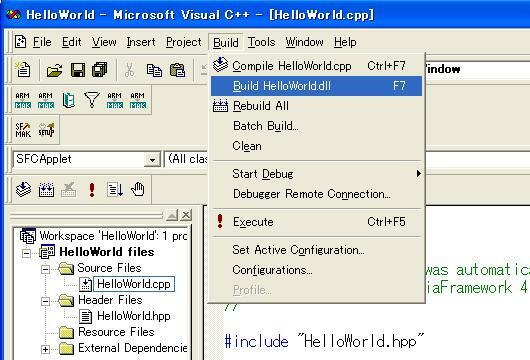 To build the project, open the [Build] menu from Microsoft Visual C++ Version 6, and select [Build HelloWorld.dll]. 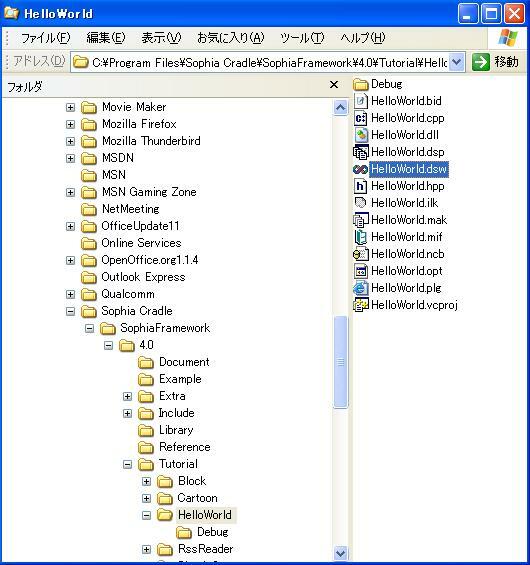 The file HelloWorld.dll will then be generated in the [HelloWorld] folder. * The .dll should be in the project folder and the .mif in the directory just above the project folder. 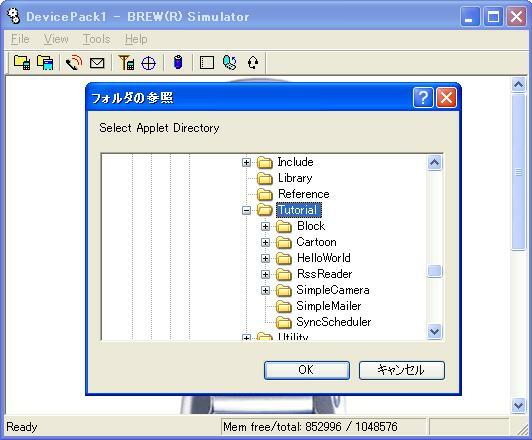 Boot up the BREW Emulator and from the [File] menu select [Change Applet Directory]. Move to the [HelloWorld] icon in the Applet Menu. Boot up the [HelloWorld] application, and the string "Hello World" will be displayed on the screen.